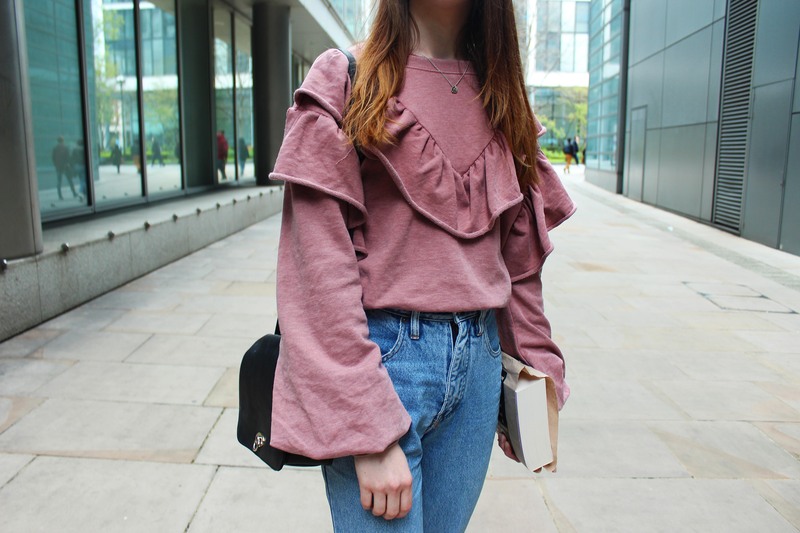 So this new frilly jumper is from Missguided and I think I am in love. It has elasticate cuffs like a sweater which is hidden underneath the excess fabric giving it a flared sleeve. It could be a bit much in theory (or in reality for some of you) but it somehow works. As it is super comfy I opted to keep it simple and casual with a pair of high waist jeans and loafers. 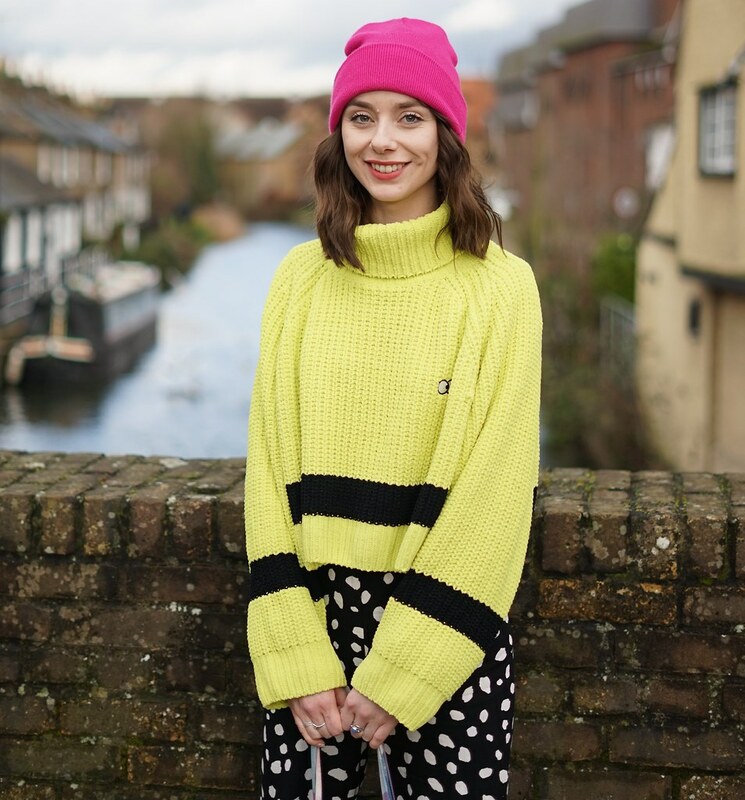 I felt a little like an 80's / 90's mum in this outfit, I am a big fan of anything that feels like your walking around in your PJs. Despite this being a very casual look the statement jumper is going to look fab with a skirt too or thrown over a dress. You will probably see a lot more of this jumper. What do you think of it? 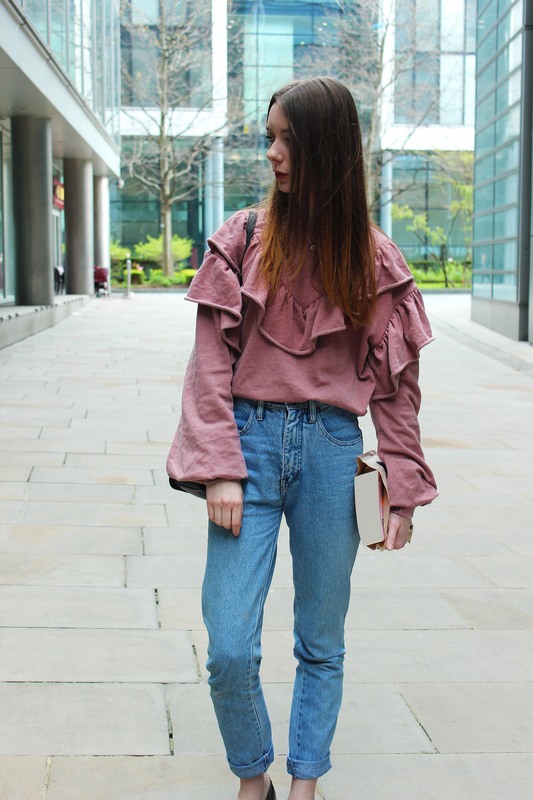 Too many frills?